The hog roast cooking method is as ancient as the village of Scone itself. When the ancient kings of Scotland were being crowned in Scone, people were cooking meat using this technique and here at Hog Roast Scone, we believe that this age old cooking has never been surpassed. This is why we cook all of our meat in this way, as there is no better way of achieving such a level of flavour or succulence. Over the many years we have been in operation, we have elevated the humble hog roast to transform it into an elegant and contemporary catering option for any special occasion in Scone through developing modern menus and different flavour infusions. As a result, we have become an increasingly popular catering choice for sophisticated wedding receptions and corporate entertaining, as well as more traditional large outdoor gatherings. Our unbeatable slow-roasted pork is a great option for any occasion, but if you would prefer a different meat, we also have a wide range of alternative options, including sirloin of beef, spring lamb, organic chicken, turkey and whole-roasted salmon. In addition to supplying the best slow-roasted meat in the area, our menus also consist of an array of vegetarian options and seasonal side dishes, as well as a diverse choice of starters, desserts and canapes. Whatever event you are planning, Hog Roast Scone has a menu to meet your needs and we always make a great deal of effort to cater for everyone’s tastes and dietary requirements. All of our menus can be adapted to accommodate any requirements- all you have to do is let us know what you need, and we will take care of the rest. 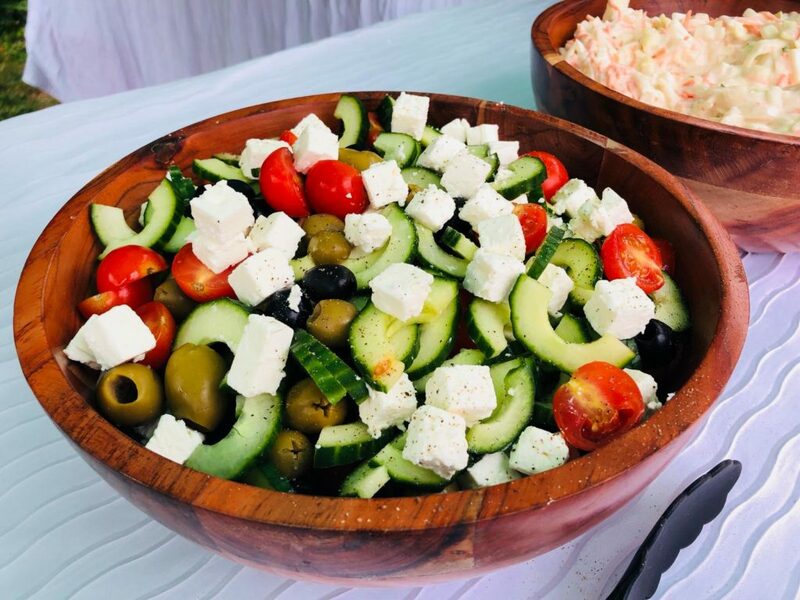 If you are planning a sociable feast, our friendly team are always happy to interact with your guests whilst we are putting the finishing touches to your freshly-prepared buffet and we will provide support as required whilst everyone tucks in. If you want a more traditional and formal feel however, our own attentive events staff will greet your guests and provide full table service throughout the meal. Our mastery of an ancient cooking technique, combined with our contemporary menus and considerate service, make Hog Roast Scone the perfect catering option for any special occasion in Scone.